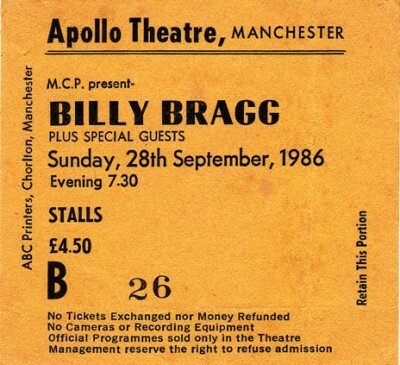 Billy Bragg ticket Manchester Apollo 1986. Always enjoyed Billys outings to Manchester, He always seemed to be enjoying himself. I think The Frank Chickens & Hank Wangford were also on the bill.